Whether you need a workshop, a building for a retail store or even a residential building, American Steel Span offers a wide variety of options. 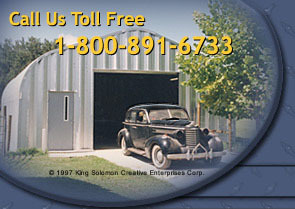 Many American Steel Span customers have turned their buildings into residential steel buildings that are unique, extremely durable and virtually maintenance-free. The interiors of residential steel buildings afford you 100% usable space designed with all of the comforts of home. A residential steel house goes up faster than traditional brick or wood frame structures at a fraction of the cost. When you purchase an American Steel Span residential steel building you receive prompt, accurate technical advice and superior customer service from a trained team of specialists. Your residential steel house will include a comprehensive erection manual and the service you receive after the sale ensures that buying a residential steel building from American Steel Span is the satisfying experience that you deserve.